Enterprise cloud provider Nutanix is aiming to more than double its revenue to hit US$3 billion by 2021, up from US$1.16 billion in fiscal 2017. Group chief financial officer Duston Williams said he is confident of reaching this goal because growth has been galloping ahead. Last year, it grew 50 per cent year on year. “The market size is massive, we’re the leader in this area and we are bold, our growth won’t be linear, but we’re confident we can achieve it,” he said at the opening of the software company’s Asia regional office here yesterday. If his forecast is correct, it would push Nutanix into an elite but small group of software companies including Oracle and VMWare, which have revenues beyond US$3 billion. The company, which will be 10 years old in September this year, provides cloud software and hyper-converged infrastructure solutions. Its software makes it easier for enterprises to manage its data centre resources such as storage, switches and servers. Traditionally when enterprises want to add more storage or servers, it would have to individually change the configurations, a tedious process. Nutanix software virtualises all these elements making it almost “touch and play”. 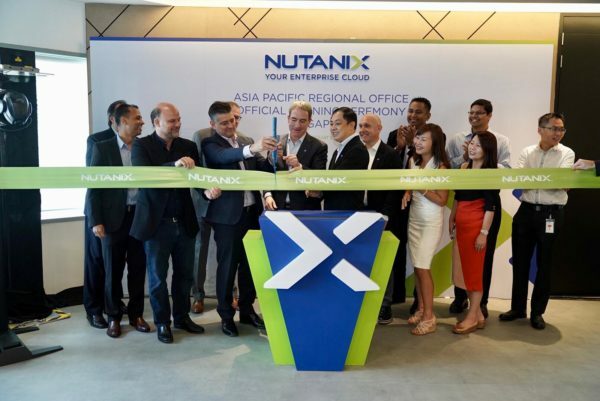 Nutanix new office in Suntec City accomodates about 120 employees. The office marks the company’s confidence in Asia-Pacific which is growing faster than North America, said Williams. 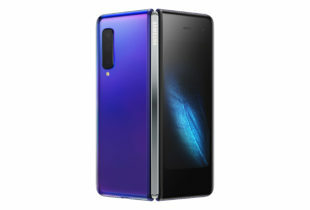 He is no stranger to Singapore, having been a senior executive with hard disk maker Western Digital, which used to have a manufacturing plant in Singapore until January 2000.